VitrA, a leading brand of Eczacıbaşı, a prominent Turkish industrial group recently introduced the enigmatic Juno Collection which offers a splendid bathroom experience. Complementing the look of your bathroom interiors, the collection offers a lavish bathroom interior ambiance created with original Swarovski crystal joysticks and faucet rings enhanced with fine details. The simple form and function are enhanced to incredible effect with PVD coatings, a state-of-the-art process of vaporising and depositing metal powder onto a surface, which remains corrosion- free and scratch-resistant. 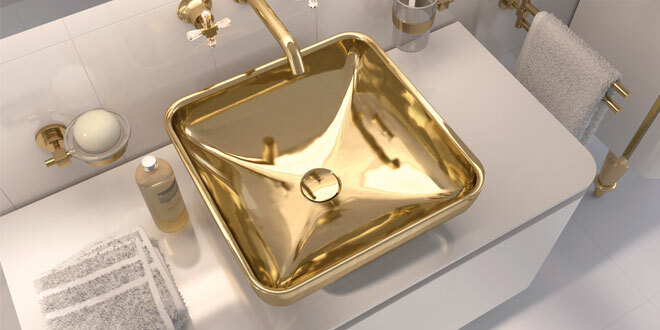 The Juno series is available in gold and chrome shades that add texture, depth and a unique identity rarely seen before in bathroom design. With its stylish aesthetics, sophisticated details and infinite product range, Juno Series is the choice of people who are on a lookout for a bathroom series to complement prestigious households.